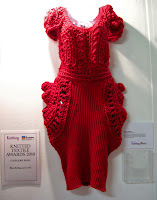 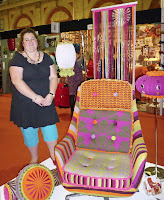 The Knitted Textile Awards, created and facilitated by the UK Handknitting Association and sponsorship partners, were held towards the end of 2010. Every year, these awards showcase the best of Uk Graduate Design Talent, specific to all areas of textile design. 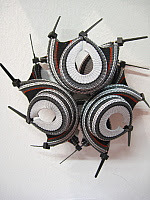 These pictures are of some of the winning designs which really stood out for me.